Ready for the Future or Stuck in the Past? Millennials have been condemned as lazy, entitled, disloyal, and disrespectful and needing constant hand-holding. 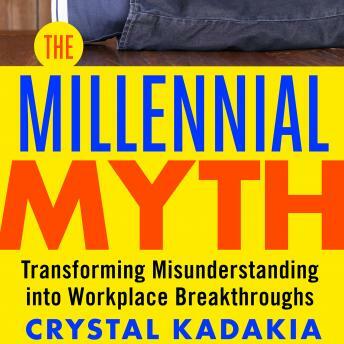 But Crystal Kadakia—a Millennial herself as well as an organizational development consultant and two-time TEDx speaker—shows that not only are these negative stereotypes dead wrong, but each one conceals a positive workplace practice that forward-looking companies must adopt if they are to endure. She illuminates how the advent of digital technology is the crucial root cause of many Millennial behaviors and offers a guide for what our traditional workplace needs to do to attract, engage, and retain modern talent.